Welcome to RA Cores Home Page. Check out our Show Schedule to see where we will be this season. This site is mirrored on TheWorld.com and our own domain, racores.com. Click image for more information on each product. Our 32" Original EPP Yak55 kit. Our 32" Lightweight Yak55 kit. Our 22" Mini Yak55 kit. Our 32" EPP Extra kit. Our **NEW** 22" Mini Extra kit. Our kit of Leadfeather's 3D Delta from RCGroups. (RCGroups discussion thread). 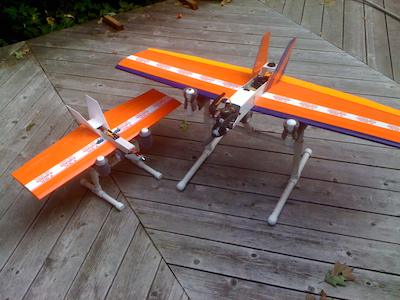 Our 33" EPP P-51D kit and our 22" Mini P-51D kit. (RCGroups discussion thread). Our 34" EPP Spitfire kit. (RCGroups discussion thread). Our 34" EPP ME-109 kit. (RCGroups discussion thread). EPP BluFO and all the necessary accessories to complete it. EPP BluFO-XL introduced at Joe Nall Week 2017 and all the necessary accessories to complete it. After 26 years of manufacturing and selling R/C Combat Gremlins, I have decided to discontinue production. I held the kit price constant while my costs have risen and demand has tapering off, I don't feel raising the prices to a profitable level which would further depress demand justifies the inventory commitment on the materials to continue producing the kits. Nothing else in my product line uses EPS Foam and downspout. We have put our instructions up on the web so people can click on the images and see a full sized color image. Indoor accessories are now available for our EPP foamy friends. Be sure to check out our Product specific YouTube playlists. Here's our current online order form using Credit Cards and PayPal. For non-US orders please email us at the address below for us to PayPal invoice you with the actual shipping costs. Thank you.